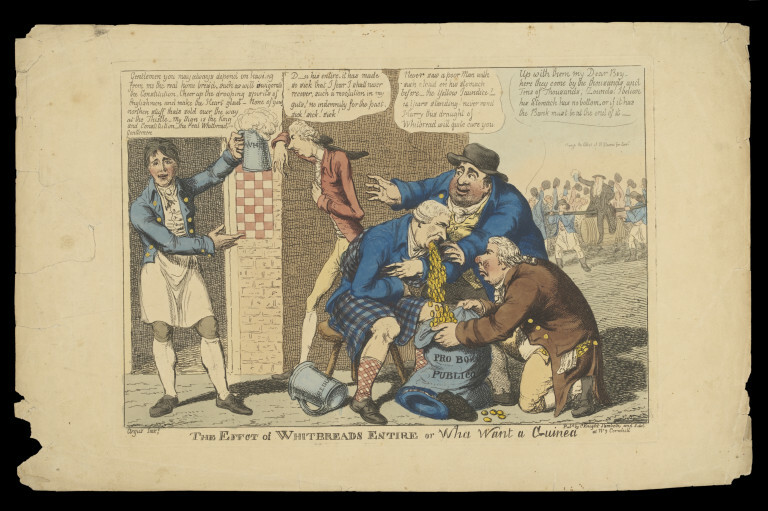 Print entitled 'The Effect of Whitbreads Entire or Wha Want a Guinea'. The pint shows Whitbread standing outside his ale house tankard in hand. 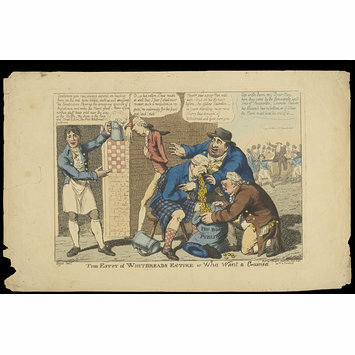 William Pitt leans against the ale house in ill health whist Richard Brinsley Sheridan and Charles James Fox collect the guineas being purged from a vomiting Viscount Melville. Published in London by C. Knight. Etched and hand coloured print entitled 'The Effect of Whitbreads Entire or Wha Want a Guinea'. 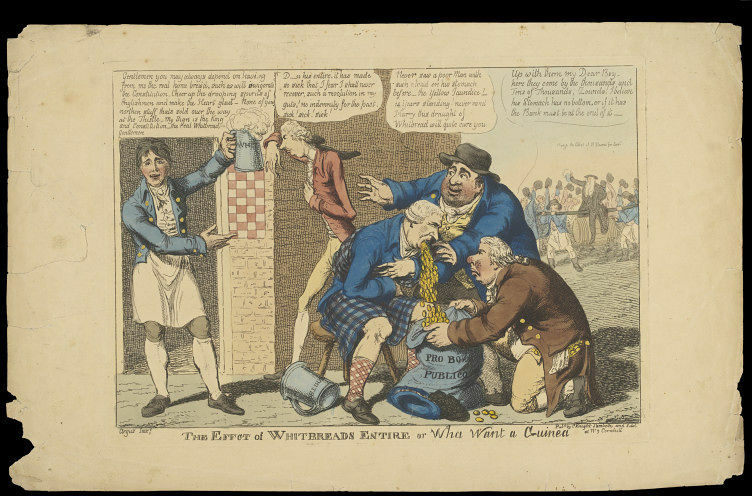 Print entitled 'The Effect of Whitbreads Entire or Wha Want a Guinea'. Published in Lambeth by C. Knight and in London by Sobel in May 1805, Harry Beard Collection.